If you haven’t been to Fort Bonifacio over the past year, you will find that the old Pier One bar has now been replaced by a more permanent looking structure that houses some new goodies that is reviving that side of The Fort Strip. 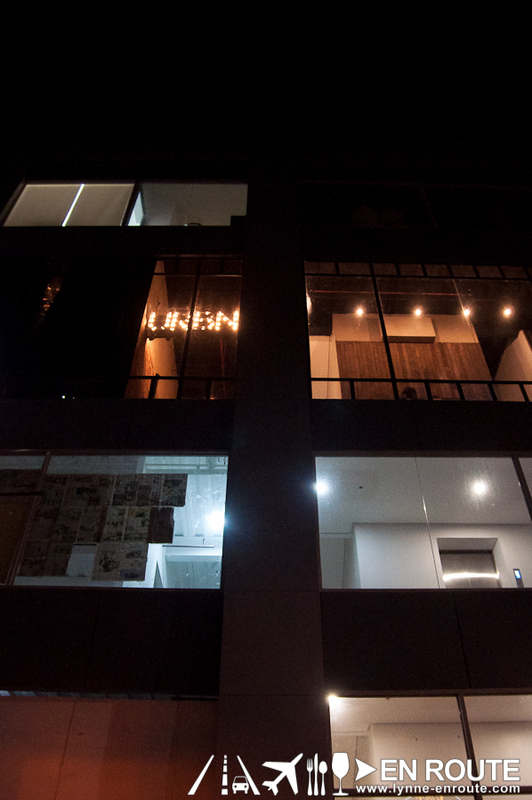 On the higher floors, URBN Bar and Kitchen has been attracting the partygoers looking for the trendiest place. You will see it’s named URBN Bar and Kitchen, but if it will just be based on the photos coming from their Facebook site, you will be hard pressed to find the “Kitchen” part of the joint. 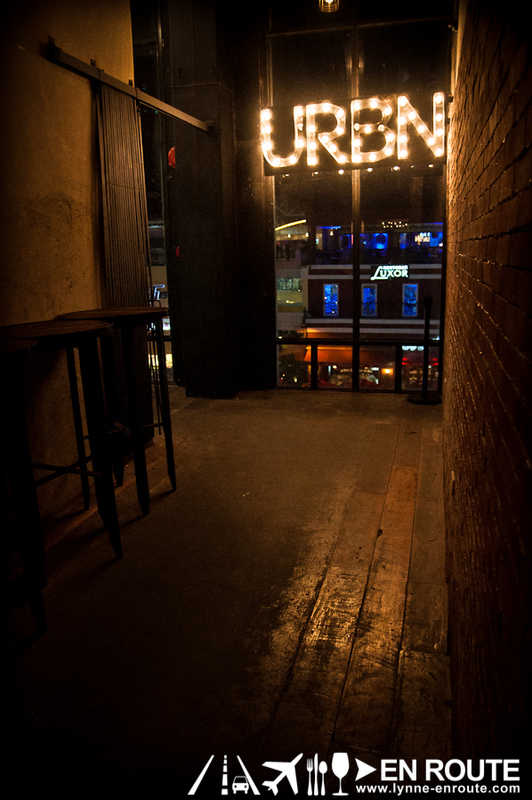 An invite to check the Kitchen part was sent, probably to show that URBN Bar and Kitchen is more than just the wicked nights and frat party drink-a-thons that the pictures may suggest. The invite seems promising, after finding out that the people behind URBN are the same people that brought Relik Tapas Bar and Lounge, and their talented chef can make one hell of a braised Ox Tail and Chorizo Sisig, so a perspective change might be worth sharing. 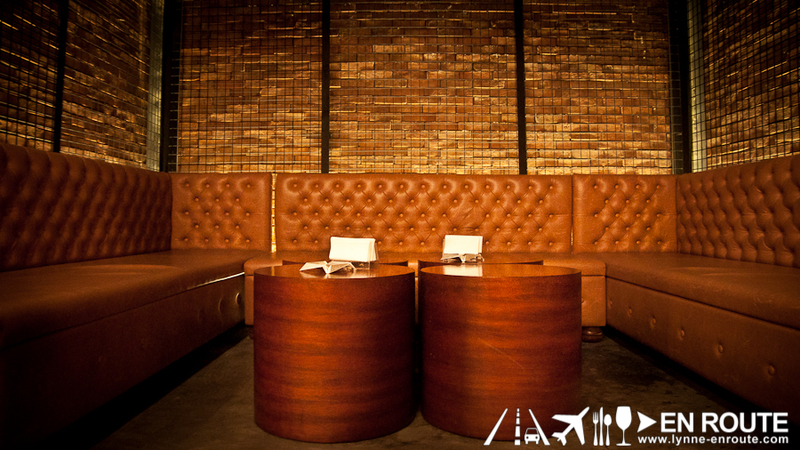 Speaking of perspective change, check out how serene and spacious the place can be before the clock strikes 10pm. All before the drove of youthfuls are drawn to the upbeat tracks by their resident DJs. As ironic as it can be, the relative silence can be deafening. It is conducive for some good dinner sessions with a drink or four to complement some of the noticeable tasty wares sampled during this invitation. But first, some drinks. 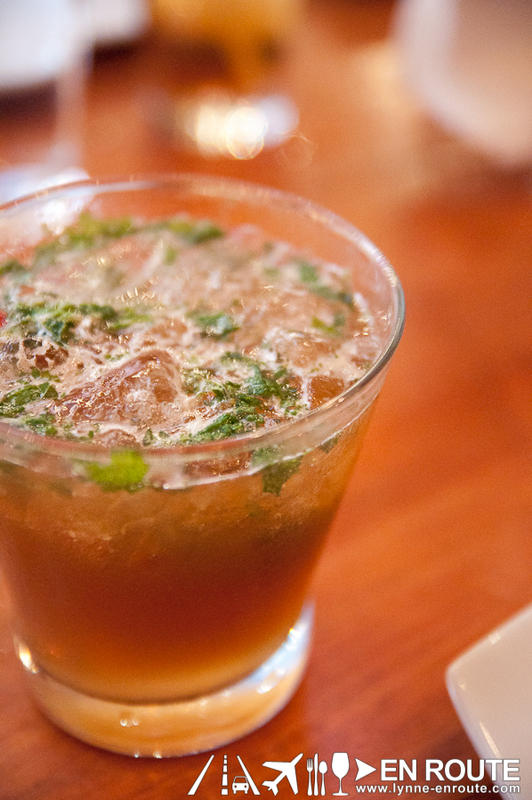 They make a good tasting (and quite addicting) mojito. 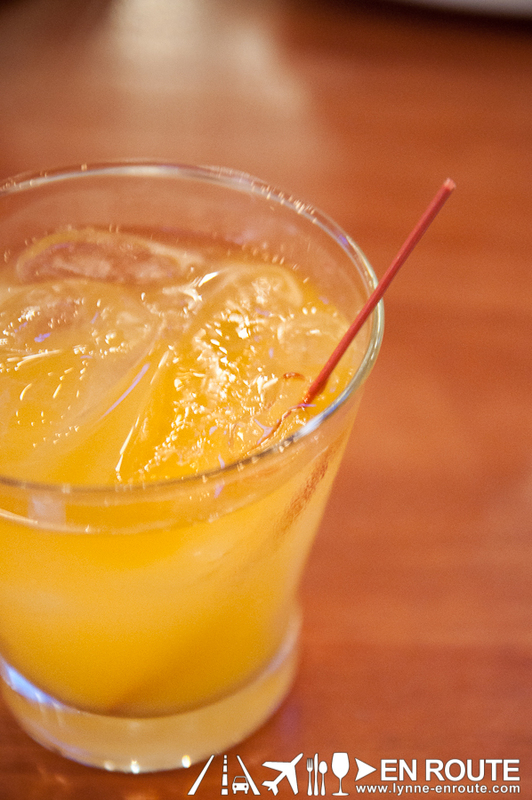 Take this or maybe their whisky sour, and you’re ready for some appetizers. 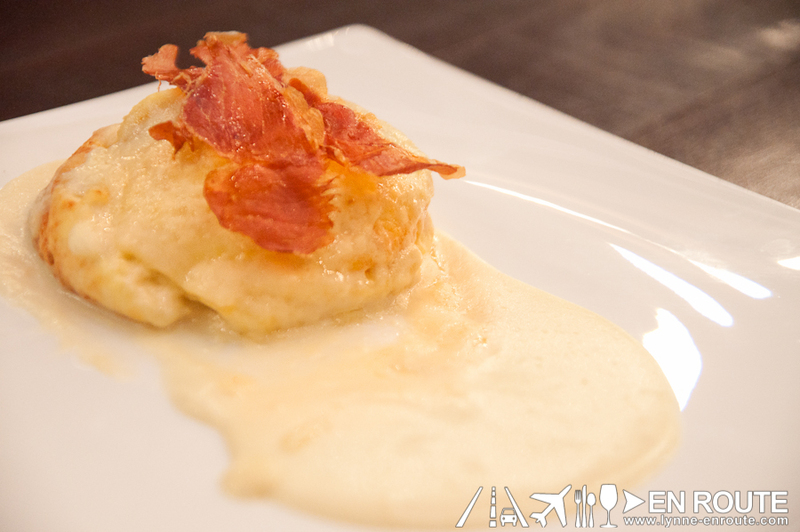 Out of the appetizers that flew out of the kitchen, it was the Double Baked Manchego Souffle that got the most votes from the table as the best tasting appetizer (aside from the crispy chips). Texture like a souffle dessert, taste of a more delicate manchego cheese with a crispy Jamon Serrano to top it with a cured meat kick. 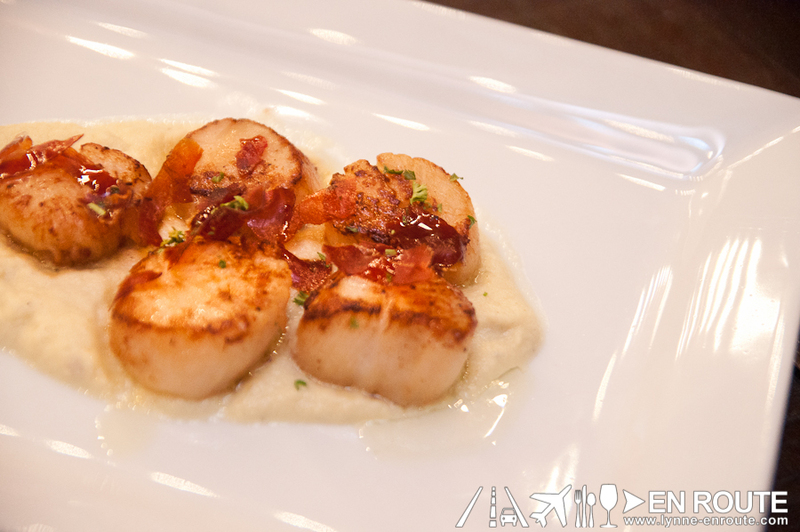 There may be other morsels to try like the Onion and Bacon Tartlets, Shrimp Cocktails, or seared Scallops. 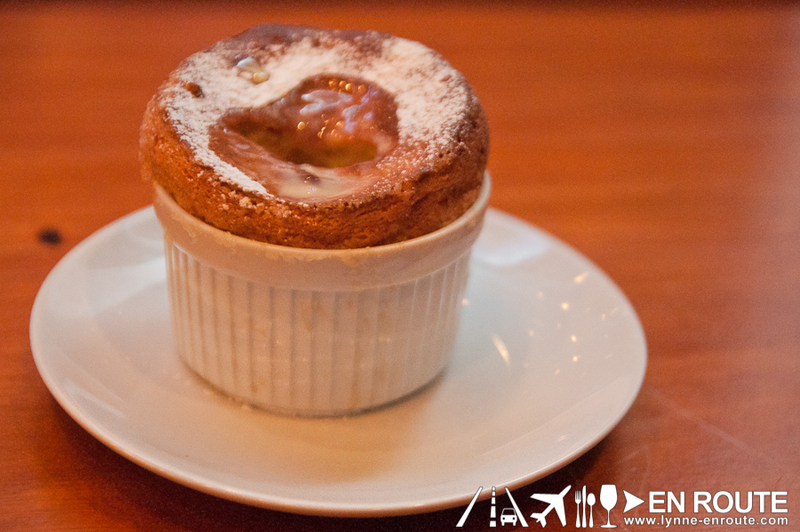 There are some salads, too, but it is the souffle that gave that creamy, appetizing start. 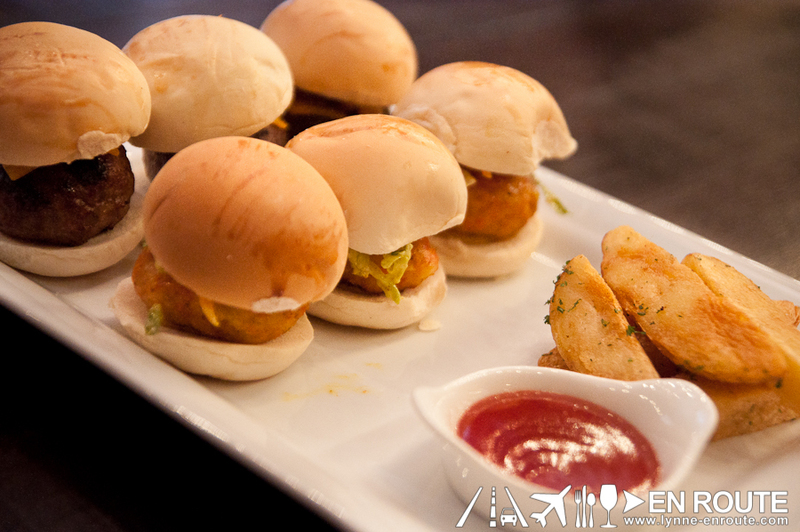 For main courses, look into the Mini Blackbenny Angus Burgers, or its seafood counterpart, Mini Curried Shrimp Burgers. It’s hard to find someone who doesn’t like a good ol’ burger, but the Curried Shrimp variant was a different surprise that had a balanced flavor and a good alternative to meat. 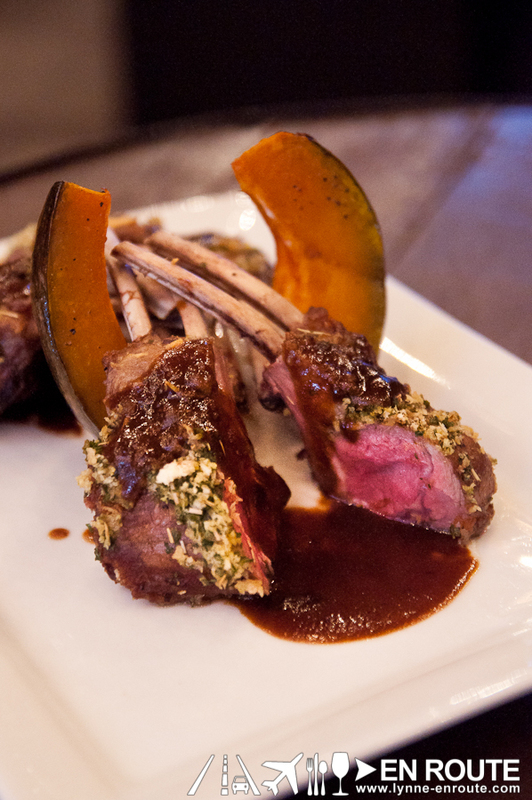 For something larger, get the Rack of Lamb. 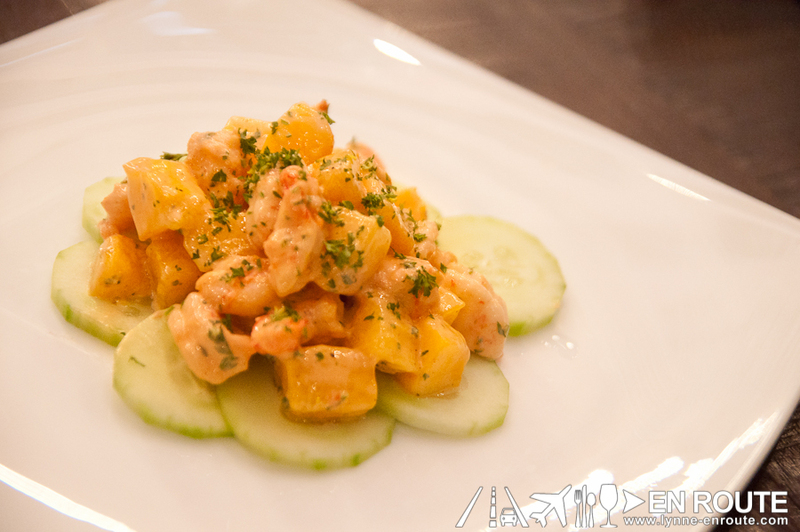 Now, do not compare this to chef Ariel Manuel’s version in Lolo Dad’s. That’s a different approach on its own. As it is, though, the taste is clean, helped out by the mustard crusting used as a rub when it is grilled. If lamb is not your thing, then steak might definitely be. More specifically, a dry aged steak. There really is something about a dry aged steak. Hard to do right, and even harder for your inventory space since you have to carefully store the steak to age for close to a month. What it does, though, is break those protein strands to give it more tenderness and an even greater depth of flavor instead of just being enhanced by salt and pepper. 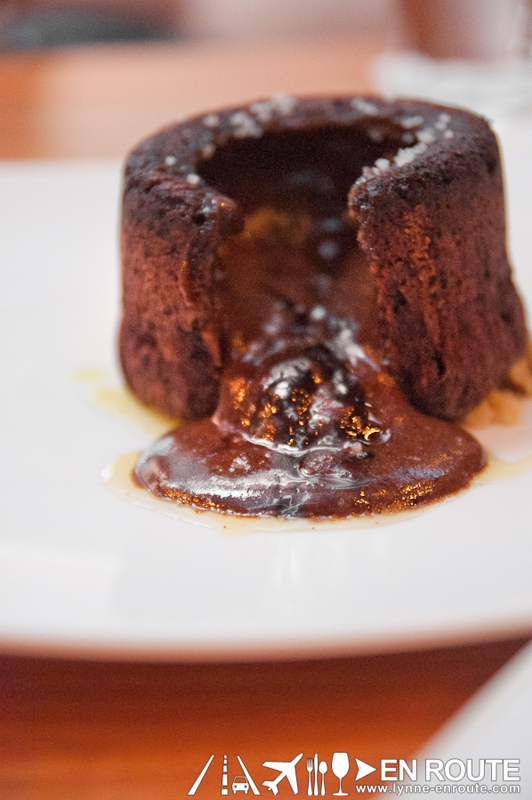 Leave room for dessert, and look no further than the Chocolate Love-Ah Cake. Sure, they have other pastries, but when this dropped on the table and someone cracked it open, the chocolatey ooze just froze everyone, almost ignoring all the other sweet treats. 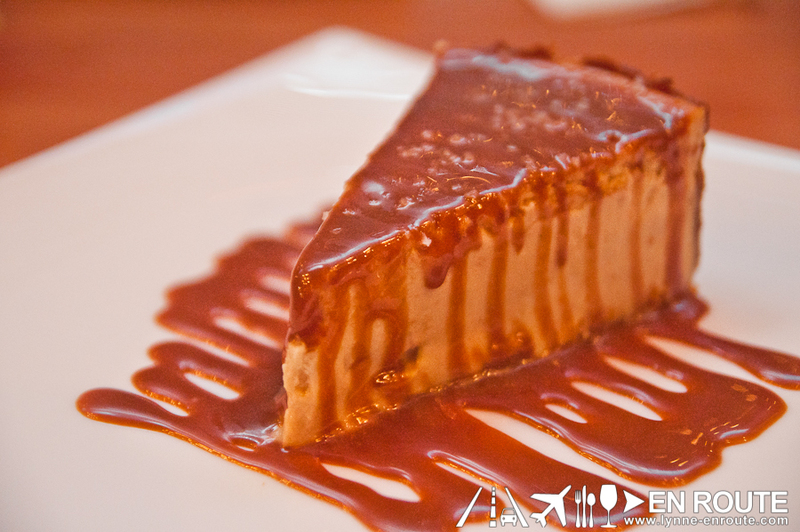 It will say in the menu that it has some sea salt and olive oil, but the chocolate probably overpowered it all. 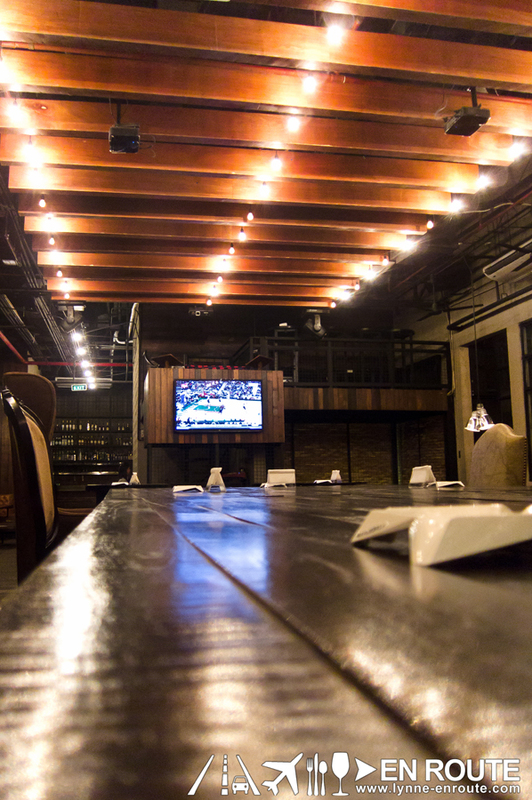 So yes, URBN Bar and Kitchen does have a “Kitchen” side to it that you may want to try on dinner time. 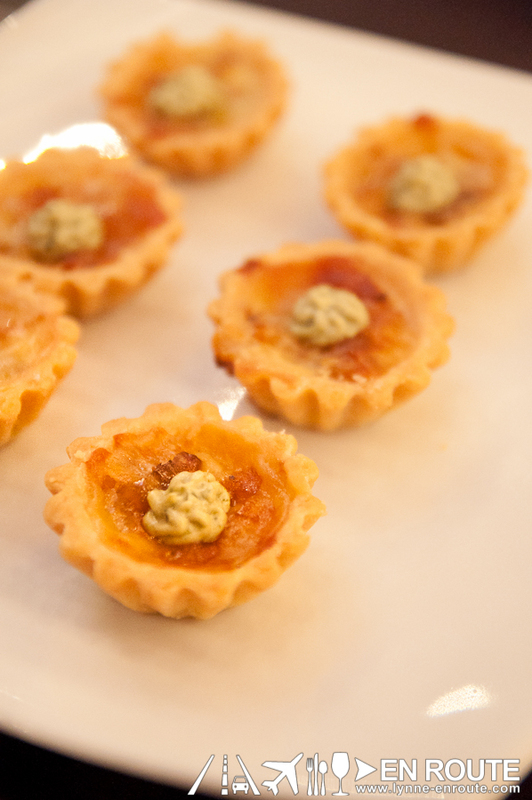 There are gems in that menu, and then a bit more that may suit your fancy. And if it suits your fancy to wait for that time when its “Bar” side comes out, do stay on. 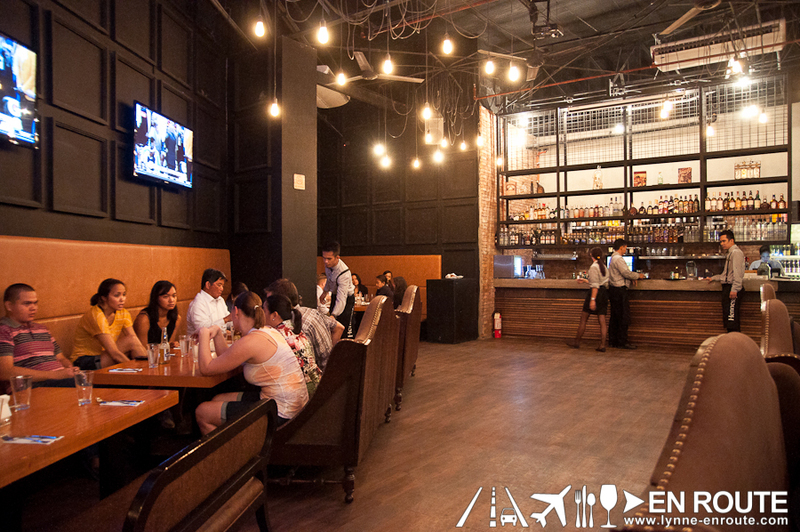 URBN Bar and Kitchen is located at the 3rd Floor, Fort Pointe II Building, 28th St. BGC (Formerly Pier One), 1200 Fort Bonifacio Global City, Taguig, Philippines. * Disclosure: This dinner was sponsored by the people of URBN Bar and Kitchen. 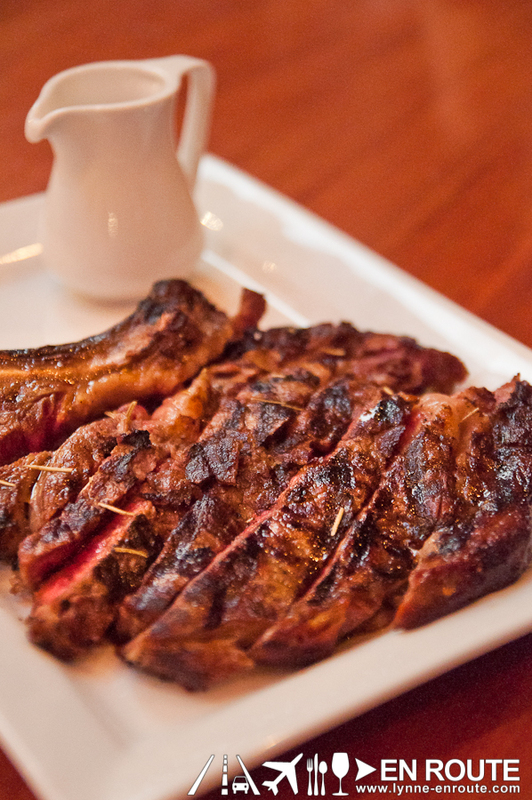 I get weak at the sight of the dry-aged steak. Darn.